"We started by adding 1 kg of Actisaf® and 1 kg of Safmannan® per tonne of grower meal and the results were noticeable within a couple of weeks"
The inclusion of Actisaf® and Safmannan® in the calf diet at Little Hook Farm in Haverfordwest, South Wales has contributed to significant young stock improvements. 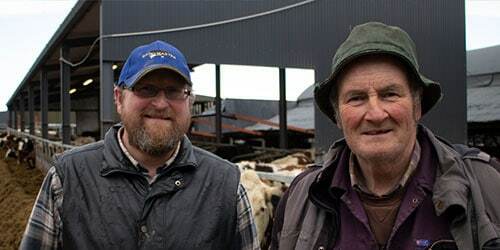 Dan Evans farms in partnership with his parents, Malcolm and Jane, on the family’s 200-acre dairy farm, with additional rented land. 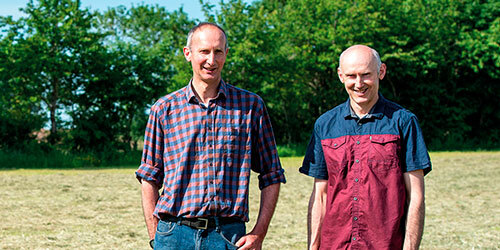 Their 300 Holstein cows graze outside from April to October and yields stand at 10,000 litres rolling average, with butterfat at 4.1% and protein at 3.2%. But it’s calf health that is the real success story at Little Hook Farm, and the last three years have seen some tremendous improvements, some of which Dan attributes to the addition of a calf bucket containing Actisaf® and Safmannan® into the calf diet. The combination of Actisaf® probiotic yeast and Safmannan® premium yeast fraction is designed to support gut health in young calves at a time when they are very susceptible to gut infections. A new calf building was put up on the farm three years ago, and calves are now housed in deep-bedded straw pens with igloos. At the same time, the farm also switched to an automatic milk feeder for the heifer calves. “We saw a big improvement following the move to the new building and the introduction of the automatic feeder,” says Dan. “The new housing makes it much easier to group our calves, and the milk feeder ensures accurate feeding whilst freeing up our time to manage the youngstock better,” explains Dan. Calves are fed six litres of milk replacer per day, at a rate of 150g per litre. 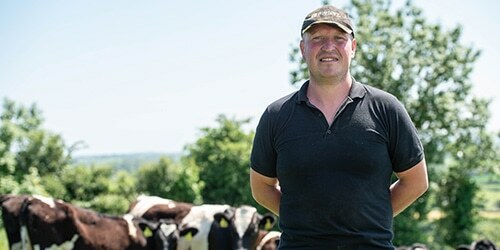 Dan made the decision to add Actisaf® and Safmannan® to the milk replacer to help to support the immune system and bind pathogens, and they are each included at a rate of 1g per head per day. Growth rates are monitored with a weigh band and once calves reach around 55 days, and visits to the calf feeder reduce, they are weaned over a week to ten days. 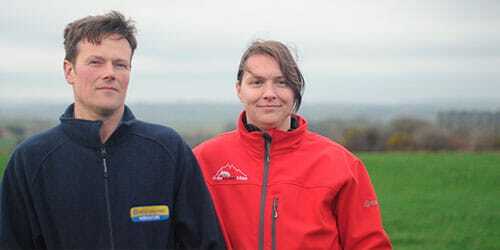 “Overall, we’re delighted with the positive results we’ve seen with the Actisaf® and Safmannan® and, as we look to keep improving the performance of our herd overall, we’ll certainly be keeping them in the diet,” concludes Dan.